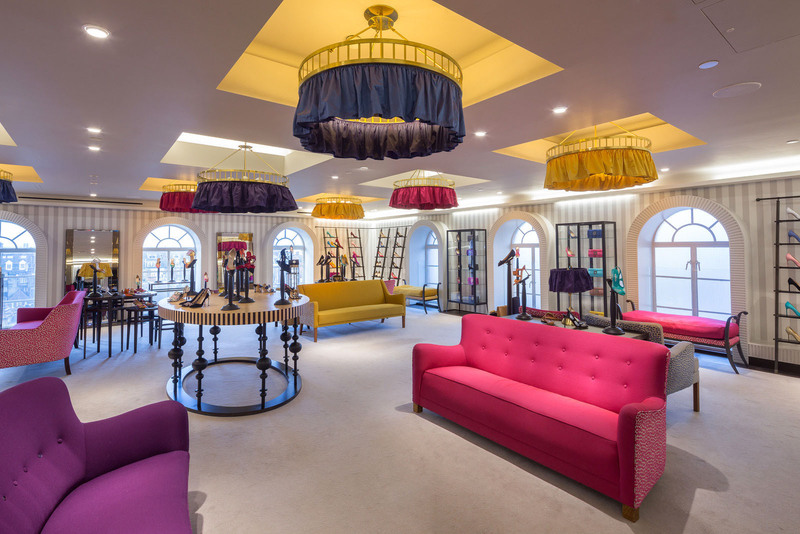 Architect Nick Leith-Smith designed the interior of the new Manolo Blahnik London located within the famed department store Harrods in London, England with rich colours and refined geometry. 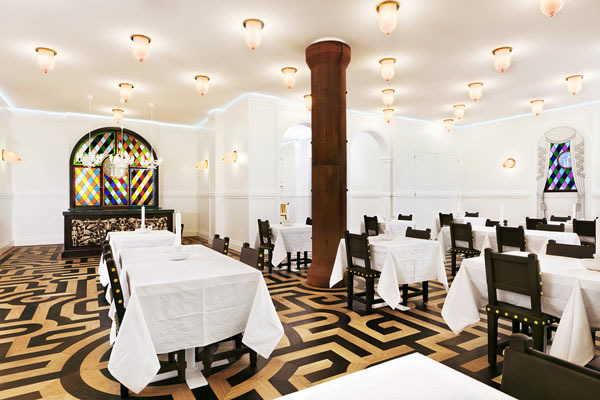 The space evokes the interiors of a grand fin-de-siècle mansion. The HITGallery is an elegant boutique located in the Times Square shopping center in Hong Kong. Designed by Italian architect and designer Fabio Novembre, the surreal atmosphere of the concept store is inspired by artist Giorgio De Chirico. Located on Yas Island in Abu Dhabi, United Arab Emirates, the Allue Nightclub holds its own amongst all the luxury hotels and lavish establishments in a town known for its gimmicky flair. Designed by Orbit Design Studio, Allure is the first nightclub by legendary restauranteurs Cipriani. 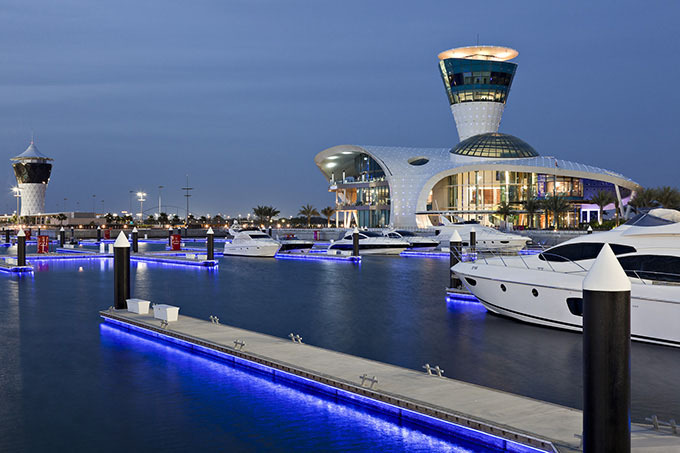 The exclusive Yas Island marina development appeals to the highest end of the international crowd. 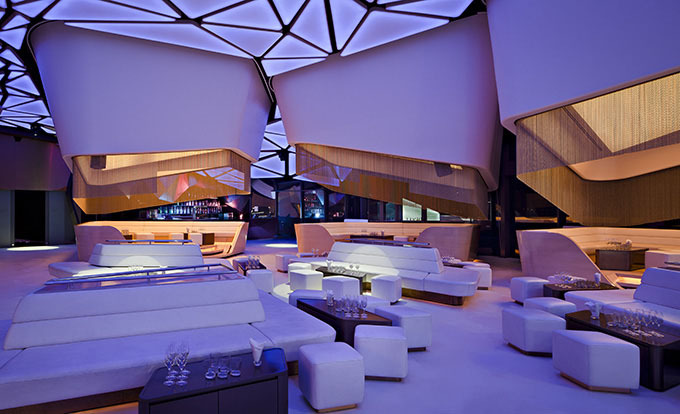 The striking design of the nightclub adds another level of glamour. The interior design of the lounge at the Groninger Museum in Groningen, Netherlands is an expressive piece of art in itself. Created by Studio Job, the design pushes the envelop which is quite fitting for this museum of modern and contemporary art. 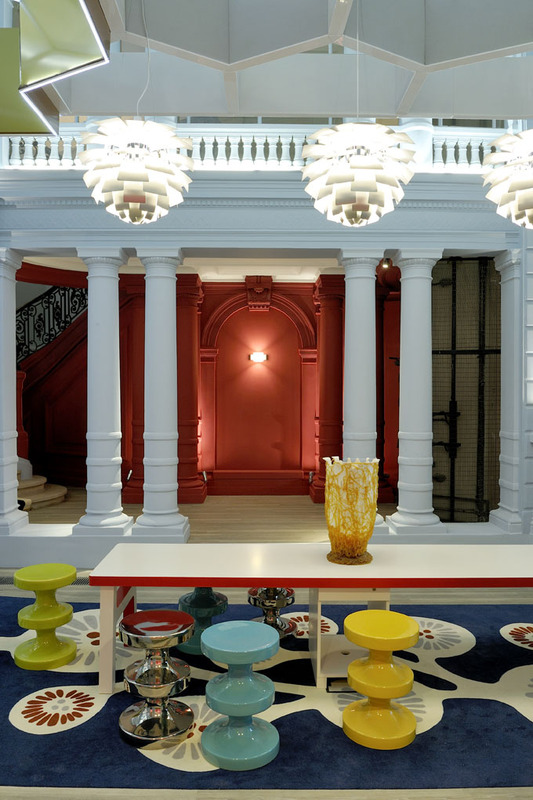 Located in the historical building of 2, Place de l’Opéra in Paris, France, the interior design of BNP Paribas Bank offers a new banking concept. Architect Fabrice Ausset of Zoevox created a colourful environment that is fun yet elegant. Honeycombed ceiling and mirrors provide a retro touch. 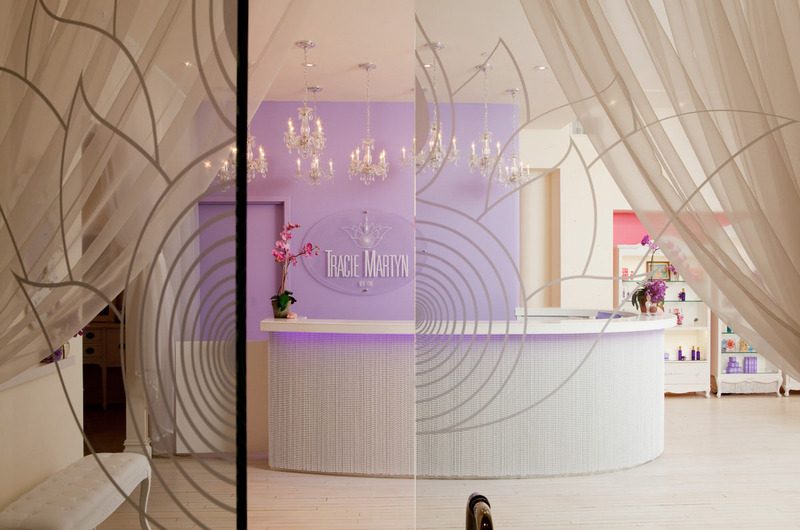 With clients such as Brad Pitt and Kate Winslet, Tracie Martyn Salon needs to keep up with its stylish image. The stunning interior design of its new penthouse salon in the Flatiron district in New York by Benjamin Noriega-Ortiz has a pastel purple theme. The elegant simplicity of the design uses splashes of colour to highlight the white background. Theurel & Thomas Pâtisserie in San Pedro Garza García, Nuevo León, Mexico is a delightful pastry shop with elegant interior design. Brand development agency Anagrama designed the interior with the intention of using the ambiance as a selling feature. Theurel & Thomas specializes in the macarons — a popular French confection made of meringue with food colouring. 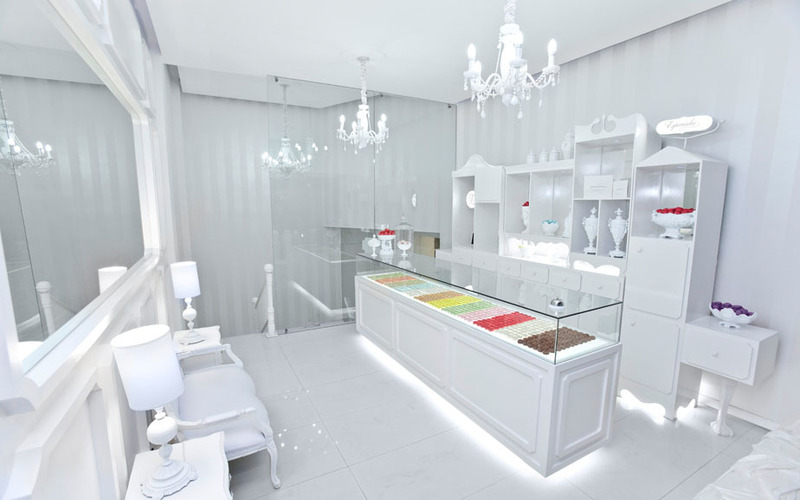 The interior design of the store takes advantage of the colourful macarons and uses them as stunning highlights against the all white canvas.